These scholarships are available to students commencing the first or second year of their degree programme. Continuation of the scholarship requires the average grade for the preceding year of study to be 60% or higher. The fee for the undergraduate programme is £11,200 and these scholarships will be deducted from your tuition fee at registration. Any student not in receipt of a scholarship will automatically be considered for a bursary of £1000. Applications must reach us before the deadline of 1 July 2012 for entry in September 2012. Successful applicants will be notified by 16 July and the scholarship will be offset against your tuition fee at registration. an essay of no more than 500 words on why you wish to study at Hull University Business School on the undergraduate degree programme for which you have applied and – focusing on your academic achievements, any positions of responsibility you have held or any recognition you have received for excellent performance at your previous institution – why you should be considered for a scholarship. Please note that applications without full documentation will not be considered. 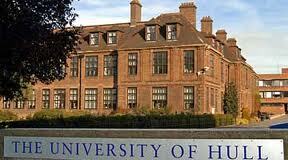 Demikian kami sampaikan tentang Business School International Undergraduate Scholarships, University of Hull, UK semoga informasi tentang Business School International Undergraduate Scholarships, University of Hull, UK ini bermanfaat.